Roger Stone, a longtime Republican strategist and an informal adviser to President Donald Trump, plans to file an antitrust lawsuit against Twitter after the company permanently suspended his account on Saturday. "I am going to sue Twitter on multiple grounds," Stone told Business Insider on Sunday. He did not elaborate when he would file the suit, and when asked what grounds he planned to sue Twitter on, he replied that he would let the suit "speak for itself when filed." Stone told New York magazine, which first reported the news, that he had been advised he has a "very strong legal case." "Twitter wants to avoid being regulated like a utility," he told the publication. "No one has been willing to file the anti-trust case. I am." 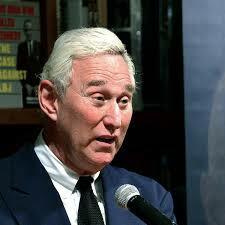 Stone's Twitter account was suspended on Friday after he railed against several CNN personalities following the outlet's report that special counsel Robert Mueller had filed the first charges in his Russia investigation. Mueller is examining Russia's interference in the 2016 election, as well as whether any members of the Trump campaign colluded with Moscow to tilt the election in his favor. After the news broke, Stone took to Twitter and lashed out at CNN's Jake Tapper and Don Lemon, as well as network commentator and New York Times columnist Charles Blow. He accused them, without evidence, of lying and called them "fake news," as well as several derogatory slurs. He said that his criticisms of Lemon were based on the host's "nonsensical claim that the Clinton's [sic] have been cleared in the Uranium One scandal." Though the 2010 deal made its way back into headlines over the last week, extensive reporting and fact-checking found no signs of wrongdoing when the Obama administration allowed Rosatom, a Russian nuclear energy firm, to acquire Canada-based Uranium One, which had significant mining stakes in the US. Stone also tweeted out CNN's story about Mueller's charges and captioned it, "Breaking: Mueller indicts @PaulManafort's driver for double parking." He was referring to Paul Manafort, Trump's former campaign chairman who is one of Mueller's key subjects in the Russia investigation. He later followed up, writing that Mueller was indicting "@PaulManafort's maid for tearing labels of sofa cushions." When asked whether he had spoken to Manafort following the CNN report, Stone replied, "I do not believe Manafort will be indicted on Monday morning," adding that he was not at liberty to say any more. It initially appeared that Stone's suspension from the social media platform was temporary. "I have been informed that I have been suspended for 3 hours and 12 minutes," Stone said in a text message on Saturday. "While I am uncertain why, sometimes the stark truth offends some people. I'll be baaaaaak." But BuzzFeed confirmed that his suspension was permanent.